One of my goals for 2015 is to post to this blog more consistently. Today i didn’t get a photo taken so I went back and found a photo (2 in a sequence) from a year ago at this time that were never put on this blog. 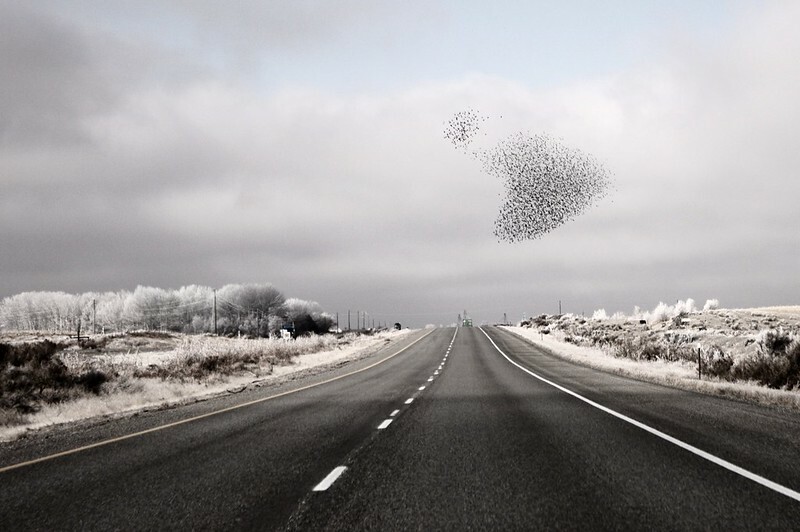 I would love to capture a murmur of starlings again this year. I am seeing them all around. There should be another opportunity if I keep my camera handy. Love the hint of pale blue with the rich b&w. The murmur probably sounds noisier than its name, right? Still a great term. I THINK they fly silently, other than the sound of their wing beats. Maybe it helps their concentration. I know if I was in the group I would want silence! 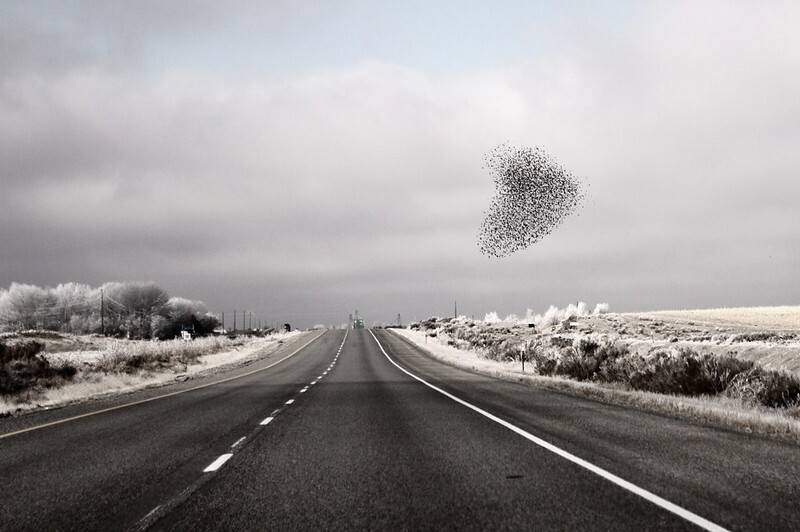 It looks like I should say “Murmuration” instead of Murmur. Hmm.. 🙂 I have some video somewhere of a flock about this big descending onto my lawn. I’m curious now about how much noise they produce and whether my memory is again faulty. Just assumed that since they are such noisy birds on the wire around town! Very cool to experience, quiet or not. I can’t find my video but my recollection is noisy while perching, quiet while flying and feeding on the ground. Nice pics. Have you done any x-pro in edition mode? If not, great tones ;); If yes, nice filter option ;).